Maggie was an activist, and always used her energy and voice to advocate for those in need. Maggie had a rare brilliance, and greeted each day with a smile. She was a mother, a wife, a social worker, and a woman who naturally looked on the bright side. 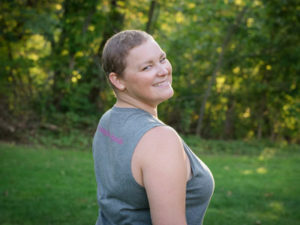 On September 29th, 2015, Maggie was diagnosed with Stage IV Breast Cancer and was forced to add Cancer Thriver to her list of descriptors. The Maggie’s Brightside Blog was then started to chronicle the highs and lows of treatment, parenting, and life in general. As a healthy, energetic, 36-year-old mother of two, she was shocked and devastated to have been ushered into the Cancer Club. It is a terrible club to be in, and those who are in the Cancer Club are constantly under a microscope. They are infused with toxic chemicals, exposed to radiation, and may have parts of their body removed. Every aspect of a cancer patient’s life changes – and, there are the unfair and additional costs of co-pays, alternative treatments, necessary additional comforts, and trying to figure out an affordable way to live the best lifestyle possible. Maggie’s idea to launch “The Maggie Card” came from an experience she had shortly after her diagnosis. She was on Church Street buying hats to cover her impending hair loss. The clerk, who knew her story, offered her 50% off each hat she purchased. Maggie was incredibly grateful, and was also aware that she never would have bought the hats if she didn’t have cancer. She believed that everyone with cancer deserves a discount! Cancer thrivers want to look good, feel good, and have easy and affordable access to things that will help them keep their health and spirits up. So, Maggie rallied. Maggie reached out to communities in her corner of the Green Mountain State; she partnered with businesses, talked to thrivers and survivors, and developed “The Maggie Card.” In the 3 years that Maggie had cancer, she developed a nonprofit 501c3, attended countless events, and worked with over 50 businesses- all while receiving treatment, being a mother and a wife, a daughter, a sister, a cousin and a friend. Maggie was an advocate for people in need through the end. The Cancer Club is not a club anyone wants to be part of, but thanks to Maggie, Maggie’s Brightside is working to bring a little sunshine on the cloudiest day possible. We continue to honor Maggie’s legacy through Maggie’s Brightside. See you on the Bright Side. Jane spent over nine years working at three different Planned Parenthood affiliates, holding a variety of roles related to the volunteer program, public affairs, support of the executive team and board of directors, as well as facilities management. Prior to her tenure at Planned Parenthood, Jane worked in Colorado securing congressional support for health care reform and advancing state level electoral and social justice initiatives. In 2015, while in the midst of her non-profit career and shortly after becoming a new mother, Jane was diagnosed with synovial sarcoma in her left eye socket. Unfortunately, she had to navigate many hurdles for the necessary treatment to be covered by her health insurance and faced trouble locating the resources and support that she needed to get through such a difficult time. Jane felt compelled to share her experience with others and, a year later, met Maggie after speaking on a young survivors panel. She feels it is an honor to be part of the team continuing Maggie’s legacy and helping positively impact the lives of Vermonters living with cancer. Colleen is a social worker, an adjunct professor, and a noodle dancer. Throughout her career, Colleen has been involved in various initiatives focused on women and children’s health and resiliency. 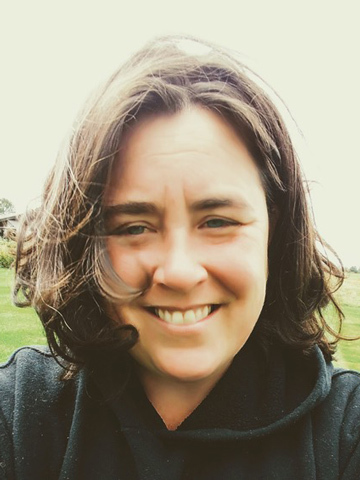 With a focus on rural communities, Colleen has worked in nonprofit development, community organizing, and crisis services, primarily within the realm of violence and abuse. Colleen’s beautiful stepmother, Judi, died of metastatic breast cancer at a very young age, so when her lifelong friend Maggie was diagnosed with the same illness, a new fire was ignited to support those diagnosed with cancer. In her free time, Colleen can be found listening to music, dancing in random places, or wandering around with no real destination. She loves bad jokes and laughter, and good talks about culture and politics. 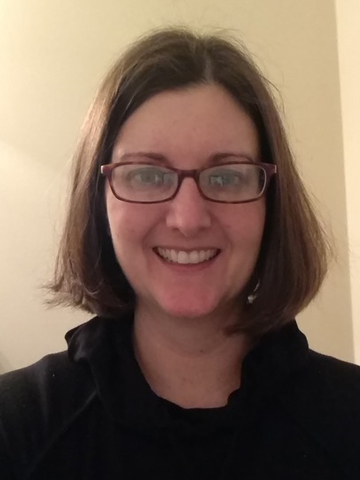 Cassie Gillespie, is a Licensed Clinical Social Worker. Originally from Long Island, New York, she moved to Burlington, in 1999 to attend the University of Vermont. While studying abroad she found her calling in social work. After college she spent a few years living in the mountain west; exploring, skiing and gaining experience in social work. Cassie returned to Vermont to get her MSW from UVM in 2008 and has never left. She met Maggie Van Duyn, working as a Child Protection Social Worker with Vermont’s Department for Children and Families (DCF). She now works at the Vermont Child Welfare Training Partnership as a coach and a trainer. She lives in with her husband, two young daughters and Sally, the Border Collie. She enjoys skiing, gardening and reading. Katie Webster, is a professional recipe developer, former food stylist and food blogger specializing in healthy locally sourced cuisine. 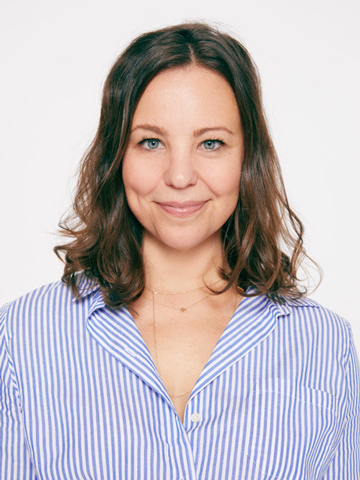 She is a culinary school graduate, studied art and photography at Skidmore College and is a contributing editor at EatingWell Magazine. 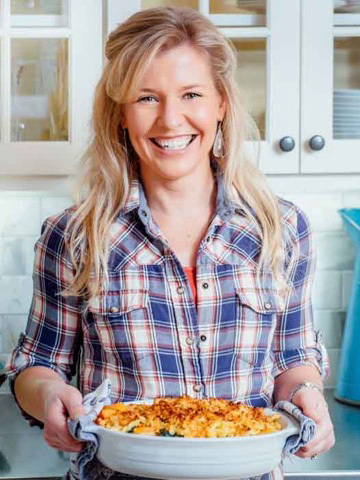 She is the author and photographer of the cookbook Maple, 100 Sweet and Savory Recipes Featuring Pure Maple Syrup, Quirk Books, 2015. She lives in Vermont with her husband and two sassy daughters. In her free time she attempts to maintain an ambitiously large garden and teaches fitness classes. Lela McCaffrey is a CPA based in Montpelier, Vermont, who works with individuals, small businesses, and nonprofits. She is still surprised to find herself in this role, as she was a Philosophy major when she graduated from St. Michael’s College, and started her career working in outdoor education. 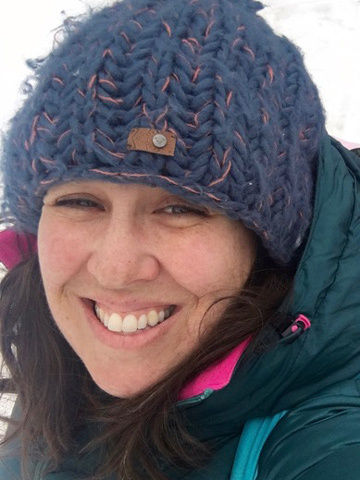 After several years of moving every season for a new job, she took a job at an outdoor education nonprofit as an Office Assistant where she obtained knowledge of their accounting system. Despite the steep learning curve, she found she had a love and a talent for accounting, and subsequently went back to school to get her license. She met Maggie through Girls on the Run, when Maggie was coaching while simultaneously getting chemo, and had to know more about who this badass woman was! As she learned more about Maggie’s Brightside, she committed herself to making sure that the financial part of the vision would be supported. Lela lives in the woods with her husband, daughters, and active goldendoodle. She is a leader for her Daughter’s Girl Scout Troop, loves running and creating things with yarns. Sarah Sophia Lidz is dedicated to continuing her sister Maggie’ s mission to help cancer patients move through chemo treatment with a little more comfort and ease. She is honored to be working alongside the passionate and driven members of Maggie’s Brightside Board and humbled to have the opportunity to continue this beautiful legacy. Sarah has worked on theatrical costume designs for dozens of Broadway and Off-Broadway productions (mostly musicals) and has spent the past 10 years working in Design and Production for various fashion shows. She lives in Harlem with her 4 year old son, Spider-Man and her husband, a Rock. 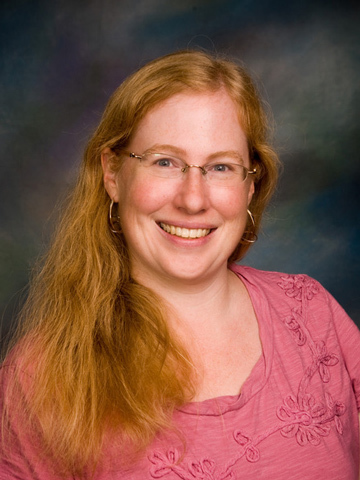 Mary-Ellen Rafuse is a Social Worker for the State of Vermont. 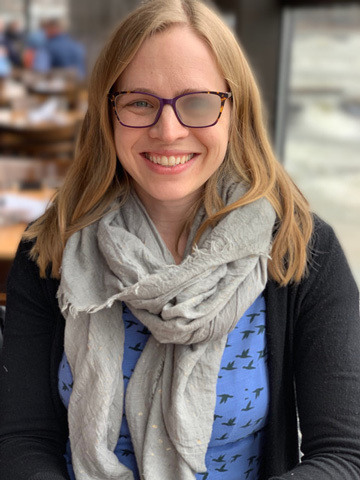 Originally from Connecticut she moved to Vermont in 2000 to attend college and despite leaving briefly for graduate school the more relaxed pace of life in Vermont called her back. She met Maggie working as a Child Protection Social Worker with Vermont’s Department for Children and Families (DCF). Mary-Ellen’s passion for fundraising was sparked in 2014 when she started training with Team in Training in her dad’s memory to raise money for the Leukemia and Lymphoma Society. This passion has continued, as has her commitment to show support for people diagnosed with cancer. She lives with her husband and two young children and enjoys running, reading and adventures with friends. Brooke Cote is employed at UVM and has a home-based business. Originally from Connecticut, she moved to the Burlington area in 2004. She is a breast cancer survivor and was looking for a way to give back to others in a similar situation. 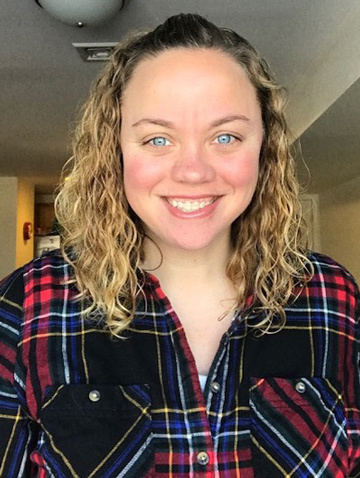 She met Maggie Van Duyn when she volunteered in 2017 for Maggie’s Brightside. She lives with her husband and two young children. She enjoys skiing, snowmobiling, reading and yoga.